Do you know the ways in fixing and preventing septic tank wet spots? Anything about the septic system could really be a challenge to understand but when you have to keep valuable information about the septic system because you’re already a homeowner. One issue that you have to deal with when it comes to your septic system is the one about septic tank wet spots. Fixing and preventing septic tank wet spots should be done with the help of your septic expert. Septic tank wet spots appear as puddles on your yard that give out untreated wastewater and septic odors. These are definitely hazardous to the environment and to your health. The wastewater contains pathogens and fumes that cause various skin and respiratory diseases. They also contain dangerous discharges that tend to reach the surrounding water systems. Fixing and preventing the septic tank wet spots depends on your diligence and your cooperation with your septic expert. Heavy clogging and blockage is caused by the dumping of grease, non-biodegradable materials, and fats into drains, sinks, and toilets. These compounds just accumulate in the septic tank. They cannot be broken down by the resident anaerobic bacteria so they just wait to fill the tank and be dispersed into the entire system to clog it. 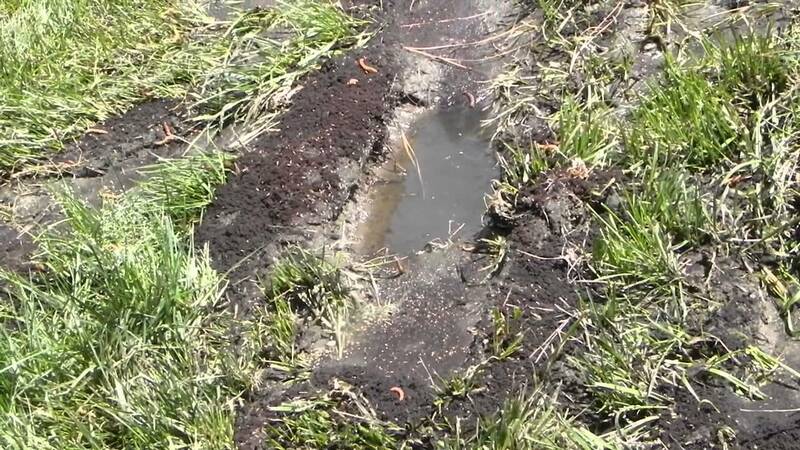 Refrain from doing this to prevent septic tank wet spots and ask your septic expert to pump out the tank to correct them. If you have used your water inconsiderately in your heavy laundry and dishwashing loads or if you have a rain gutter directed to drain over the septic tank, expect a high septic water load. This stirs up the sludge in the tank and makes the decomposition very slow. The sludge then blocks the drain field and causes the wastewater to backup and overflow. Minimize water usage, install a dry well, and divert the rain gutter away from your septic tank. Damage can be incurred by the septic tank through invasive tree roots and soil compaction. Tree roots are always in constant need to gain access to nutrients and water. Wastewater is the most ideal source of these. But the invasive roots tend to get into spaces they shouldn’t like the septic tank and its components. Cracks can be brought about and these can produce leaks. The leaks can then prevent wastewater from continuously flowing through the tank and the rest of the system, thus resulting to septic tank wet spots. Remove the trees, vehicles, and structures over your septic tank to remedy and prevent the problem. If you don’t follow the pump out schedule for your tank, there will be a heavy accumulation of sludge that will just occupy the space meant for wastewater treatment. This will result to septic water back up and septic tank wet spots. Adhere to the pump out schedule to prevent septic tank wet spots. Dense soil type could also cause septic tank wet spots. Clay is an example of dense soil. This type of soil doesn’t readily absorb wastewater. As a result, the wastewater just backs up and overflows as septic tank wet spots on your property. Fixing and preventing septic tank wet spots depends on you and your coordination with your septic expert. Do your part and everything will be just fine. Should septic bacteria be used?